Hi Everyone!! Here is my easel card for the Farm Fresh Friday throwback challenge over at The Greeting Farm. Rules were to use an older greeting farm stamp and a "fancy fold" card. This is Cheeky Glamour from The Greeting Farm. 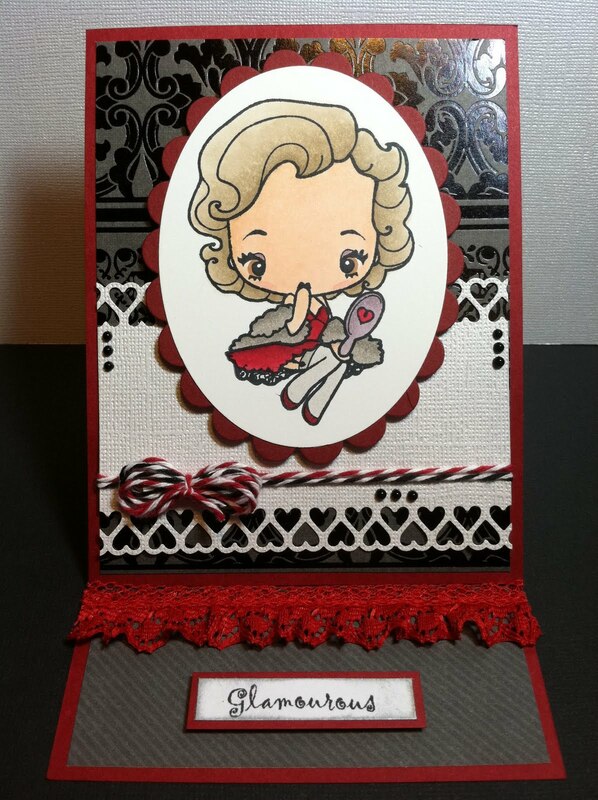 "Glamourous" is from Pink by Design "Rock On" stamp set (one of my favorites!). She's cute! Love the black and red, perfect for her! Especially the red lace! Are you kidding me? This is so adorable! I love how vibrant this card is. The colors really come alive!! Just too cute!! !